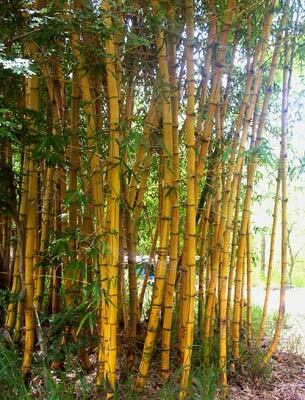 One of the more common bamboos you will see around, Painted Bamboo is often planted because of its undeniable beauty. 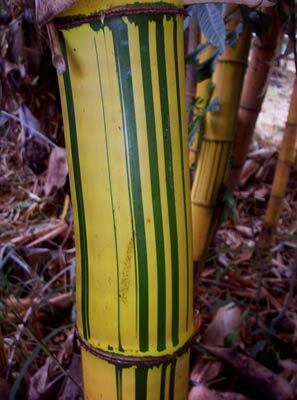 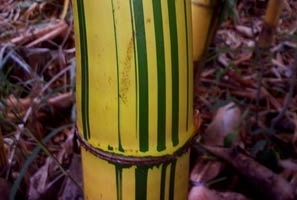 Very gold culms with green “painted” stripes. 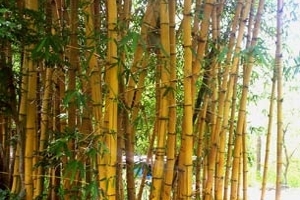 Needs quite a bit of space as it tends to be more of an open clump or it can be contained in pots and planters.